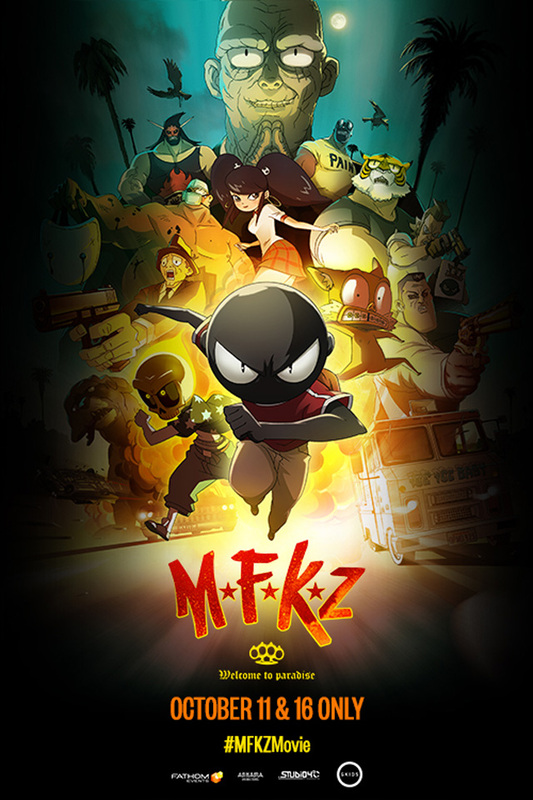 Animation producer-distributor has revealed the official English-language trailer and the badass voice cast for its US release of adult-targeted French graphic novel adaptation MFKZ — coming to theaters nationwide October 11 and 16 through Fathom Events. The graphically bold 2D movie is a collaboration of comic artist Guillaume “Run” Renard, French studio Ankama and avant garde Japanese anime shop Studio 4°C (Tekkonkinkreet, Genius Party, Mind Game). 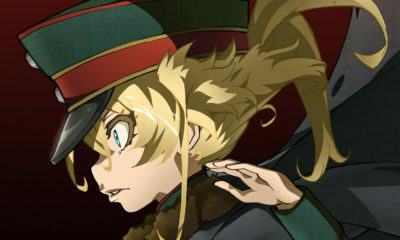 The team-up of Tekkonkinkreet co-director Shojiro Nishimi and art director Shinji Kimura reunited to bring the dark, comic and visually impactful mash-up of sci-fi, anime, film noir and Lucha Libre to life. MFKZ premiered at the 2017 Annecy Int’l Animated Film Festival (as Mutafukaz). GKIDS and Fathom Events debut MFKZ in US cinemas Thursday, Oct. 11 at 7 p.m., with an encore on Tuesday, Oct. 16 at 7 p.m. — both showings will be the English dub. 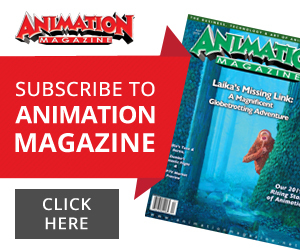 The premiere screening events will include an exclusive interview with the film’s creators. GKIDS will also give the film a limited theatrical release starting Friday, Oct. 12. Tickets are available now through the Fathom Events website, www.mfkzmovie.com and participating box offices. 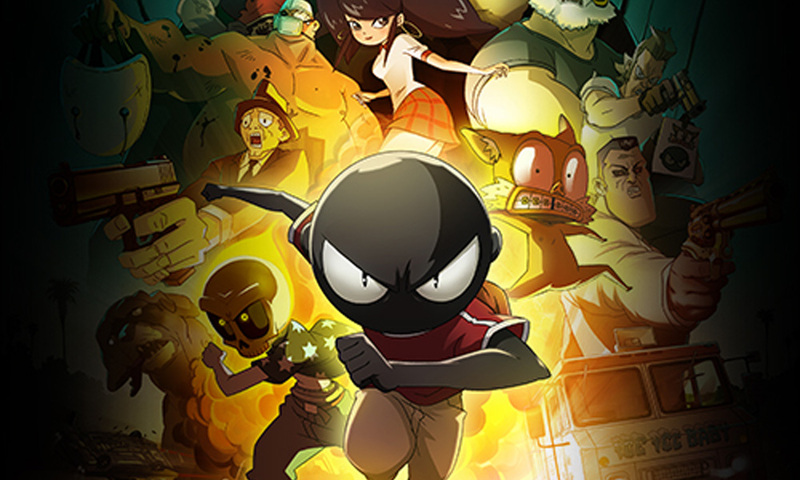 Synopsis: MFKZ centers on young Angelino and his skull-and-flame pal Vinz, who live in a seedy tenement in an L.A.-inspired dystopian metropolis – a burnt-out, gang-and-cockroach-ridden, neo-urban hell. Following a scooter accident Angelino starts experiencing migraines, strange hallucinations and fits of rage-inspired superpowers, as he slowly awakens to the truth of his origins: he is half human and half Macho, a supernatural alien race that is bent on taking over the planet.